I started my shopping addiction from in-store to online since 2 years ago, when online stores increased tremendously in recent years. 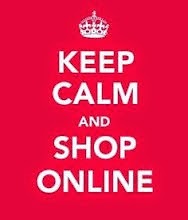 #3 The most important is you can shop 24/7 and take as much time as you want before making the decision! Yet, one of the cons of buying online is sometimes it becomes difficult to find products you are looking for as well as the best offers and promotions due to more and more new online shops appeared. For a online shopper like me, it would be much easier if I can check and compare different brands at one time whenever I look for a specific item. Well Well Well, if you also encountered the same problem I have, let me introduce iprice to enhance your online shopping! Aside from Malaysia, iprice is also available in Singapore, Hong Kong, Vietnam, Indonesia, Philippines and Thailand. They offer varies of the latest and best coupons, discounts, promotions and voucher codes on a single avenue for shoppers before they browse on their favourite online shopping stores. It helps shoppers to save more and also eases the online shopping experiences. It is a one stop shopping destination that let you easily find any product online, from fashion, electronics, home & living, beauty & health, hotels, airlines and many more. You can search all these products available at Iprice, with more than 1000 brands in one platform such as Coach, Aldo, Sony, Adidas, Oppo, Canon, Vincci, Lenovo etc. At this section, you are now easy to compare which brands have the best discount of the certain item you are looking for. Besides, they also cooperated with exclusive partners and brands such as everyone's favourite Zalora, Lazada, Reebonz, Style Tribute, Bebe, Romwe, my beloved travelling partners Airasia and Agoda and many more for the getting the best vouchers and deals in town. Well, after knowing all information about iprice, it's time to learn how it works. As for vouchers and deals, all you got to do is view the coupons of the day on the website, and checkout the awesome offers and coupon vouchers which might interest you. Once you selected your preferred offer, simply click on the button to get the code or the offer, you will then be directed to the selected store and you can just shop right away from there. For the voucher or offer codes, remember to key in the coupon code upon your checkout. 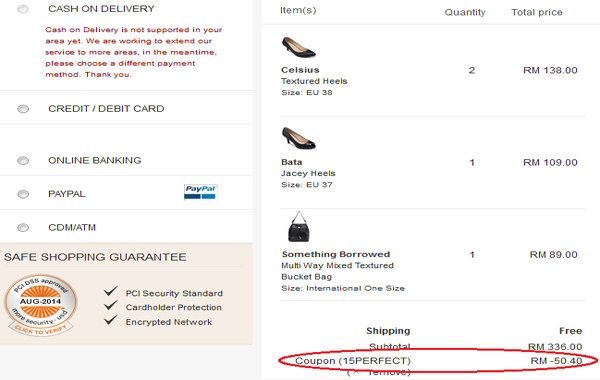 I did a simple example from Zalora for your reference, Hope it's helpful! As for the discount code, it usually reflects a discount on certain products. In this case, you just follow the link to the retailer's special offer by clicking "got to offer" button and enjoy shopping while saving money at the same time. That's all for today's sharing! Before ending the post, please do not forget to sign up to their newsletter @ iprice.my to enjoy more amazing deals during your online shopping. I am now going to shop for a high heel from Zalora and also a holiday package to Seoul from Aisasia! LOL! 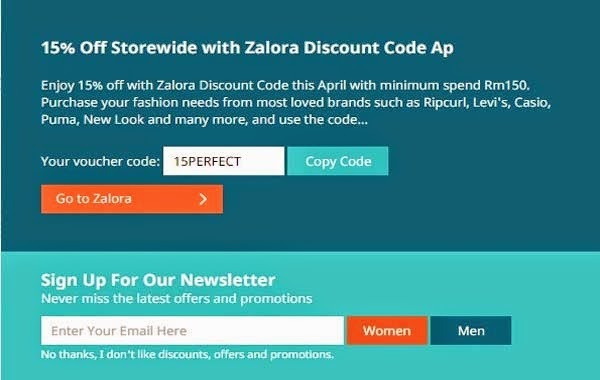 BUT: you need to sign up a new Zalora account to use this code. I've several Zalora accounts myself because I sign up a new account to use this code for each purchase. Thanks for dropping by, Alison! And thanks for the 15% shopping discount!